"What kind of Navy officer sits on his ship in the middle of the Mediterranean dreaming of gerbils?" That's the question that Holly Robinson sets out to answer in this warm and rollicking memoir of life with her father, the world's most famous gerbil czar. Starting with a few pairs of gerbils housed for curiosity's sake in the family's garage, Donald Robinson's obsession with the "pocket kangaroo" developed into a lifelong passion and second career. Soon the Annapolis-trained Navy commander was breeding gerbils and writing about them for publications ranging from the ever-bouncy Highlights for Children to the erudite Science News. To support his burgeoning business, the family eventually settled on a remote hundred-acre farm with horses, sheep, pygmy goats, peacocks–and nearly nine thousand gerbils. 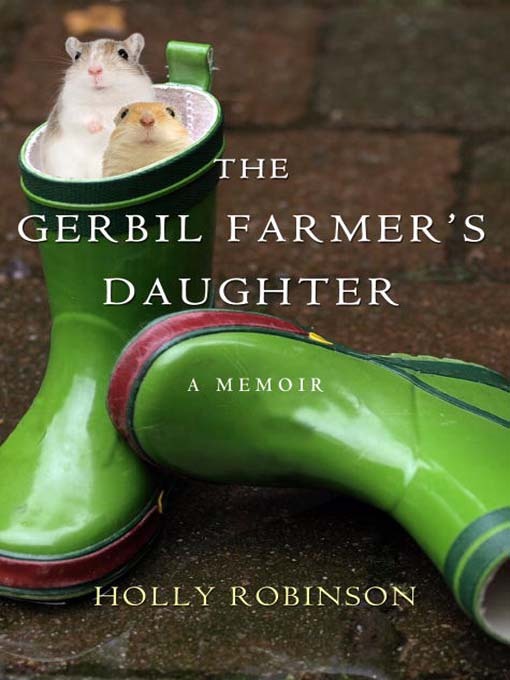 From part-time model for her father's bestselling pet book, How to Raise and Train Pet Gerbils, to full-time employee in the gerbil empire's complex of prefab Sears buildings, Holly was an enthusiastic if often exasperated companion on her father's quest to breed the perfect gerbil. Told with heart, humor, and affection, The Gerbil Farmer's Daughter is Holly's ode to a weird and wonderful upbringing and her truly one-of-a-kind father.